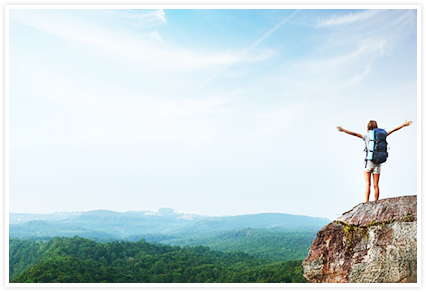 We’re pleased to work with you in promoting your products and the progressive innovation that drives us all. Bringing awareness to these ANT+ features in your product messaging will strengthen the value that consumers place on your ANT+ products. Therefore, it is important that all users of ANT+ enabled devices are easily informed of the ANT+ advantages. Adhering to the ANT+ Certification and Brand requirements and guidelines will assist with this understanding, while further expanding the long-term value of your devices. To assist you in being a part of this ANT+ product success, we provide ANT+ Members and Adopters with a complete ANT+ Brand Guide that includes a complete ANT+ Product Certification Brand Requirements and Recommendations section. Please review this carefully prior to using any ANT+ logos, icons or trademarks. 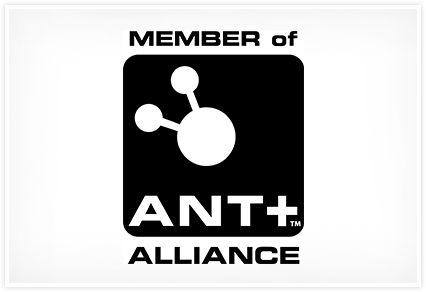 NOTE: To download the complete ANT+ Brand Package, including official ANT+ logo artwork files, please go to the Certification Getting Started tab here and look for the ANT+ Brand Tools download (login required). 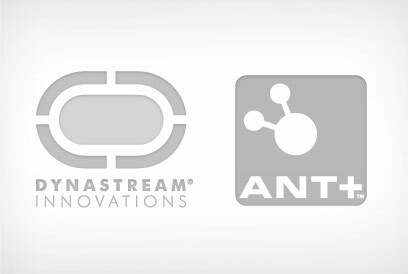 ANT Wireless represents the Wireless Division of Dynastream Innovations Inc. This Division is responsible for managing the base ANT 2.4 GHz ultra-low power protocol, the ANT+ interoperability infrastructure and the ANT+ Member Alliance. ANT Wireless designs and creates the modular electronic interface between mobile devices (such as cell phones, watches and cycling computers) and stationary devices (such as fitness consoles and PC’s). Dynastream Innovations Inc. was established in 1998 and is based in Cochrane, Alberta, Canada. ANT+ represents an environment of unbridled innovation and creativity – one that leads the world in visionary and responsive technological advancements. Our brands are simple, clean and strong as per our technology and every reference to our products (via collateral, promo items, and/or to correspondence). This creates an opportunity to convey our unique, practical and robust brand character. Our brand is also synonymous with our commitment to produce and support unique industry sensor solutions that enable cutting edge, interoperable wireless networking. ANT is the pervasive ULP wireless technology facilitating the capture of critical market share in the exploding mobile sensor sector. This standardized communication platform enables quick-to-market solutions for application developers, sensor manufacturers, cell phone makers and wireless carriers. Designed to solve real problems, ANT is the lightest protocol a vailable that can easily scale into complex network topologies and communication methods. 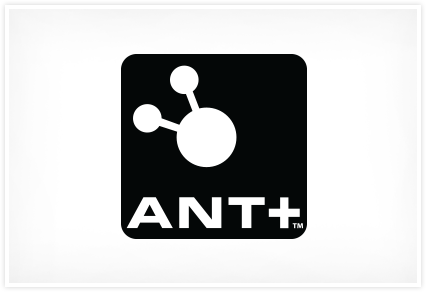 With an installed base of over 25 million nodes (as of January 2012), ANT is a proven networking solution for sport, fitness, wellness, home and industrial automation. ANT has been specifically engineered for ultra-low power, low system cost, ease of use, scalability and flexibility and enables sensors to operate for up to three years on a coin cell battery. The ANT protocol handles peer-to-peer, star, tree and practical mesh topologies. 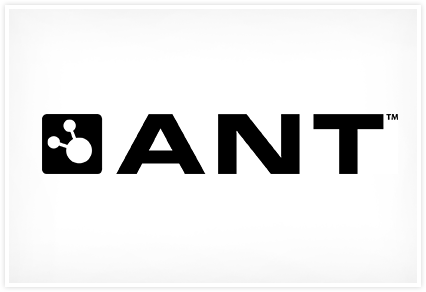 ANT+ facilitates interoperability between ANT+ Alliance member devices and the collection, automatic transfer and tracking of sensor data. Applicable in sport, wellness management and home health monitoring, ANT+ (built on the base ANT protocol) defines device profiles that specify data formats, channel parameters and network keys. ANT+ has amassed an ecosystem of world-class technology vendors in the ANT+ Alliance, an open special interest group of companies who have adopted the ANT+ promise of interoperability. These industry leaders offer readily-available brand name products; application demand from pre- existing subscription bases; wireless protocol bridges; silicon handset solutions; developer-targeted reference platforms; and growing adoption within the mobile handset manufacturer base. Use of and reference to all ANT+ wordmarks and logos is explicitly tied to membership, certification and licensing. In this way, consumers are assured that the company displaying the ANT+ wordmark or logo is committed to the ANT+ promise of interoperability. Proper ANT+ branding also assures the consumer that the ANT+ branded device has passed ANT+ Product Certification and complies with specific Device Profiles. To ensure consumer clarity, only products manufactured by registered ANT+ Members and Adopters and certified by ANT Wireless may display any ANT+ logos, word marks, icons or symbols. Use of and reference to all ANT+ word marks, logos and symbols is explicitly tied to ANT+ Membership and ANT+ Product Certification. Companies displaying the ANT+ work mark, logos or symbols are committed to the ANT+ promise of interoperability. All ANT+ Certified Products will be listed on the ANT+ Product Directory and/or the B2B Guide. For an overview of ANT+ logos and authorized uses, please review the Quick Guide section of the ANT+ Brand Guide. To download the complete ANT+ Brand Package, including official ANT+ logo artwork files, please go to the Certification Getting Started tab here and look for the ANT+ Brand Tools download (login required). The strength of the ANT+ interoperability function lies in the commitment to both the functionality of the ANT+ technology and the implementation of the ANT+ brand. This is a critical value proposition shared between all members of the ANT+ Alliance. • Stimulate the use of certified designs and solutions. Visit the ANT+ Product Certification page for full details.